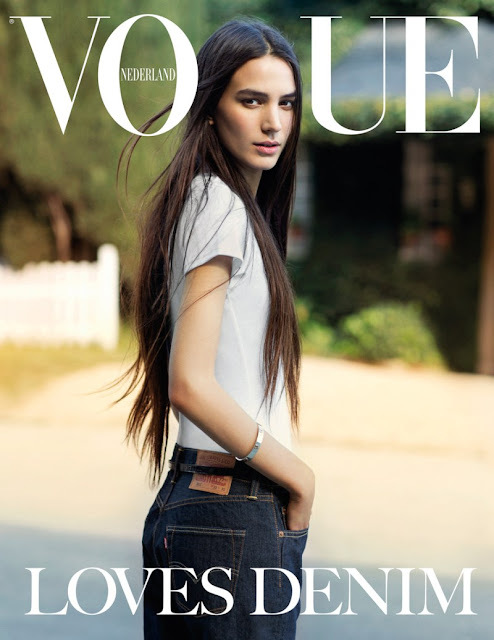 Inoubliable Model Army's favourite newcomer of the Fall/Winter 2013 season, Mijo Mihaljcic stars in the denim supplement of Vogue Netherlands May 2013 issue. 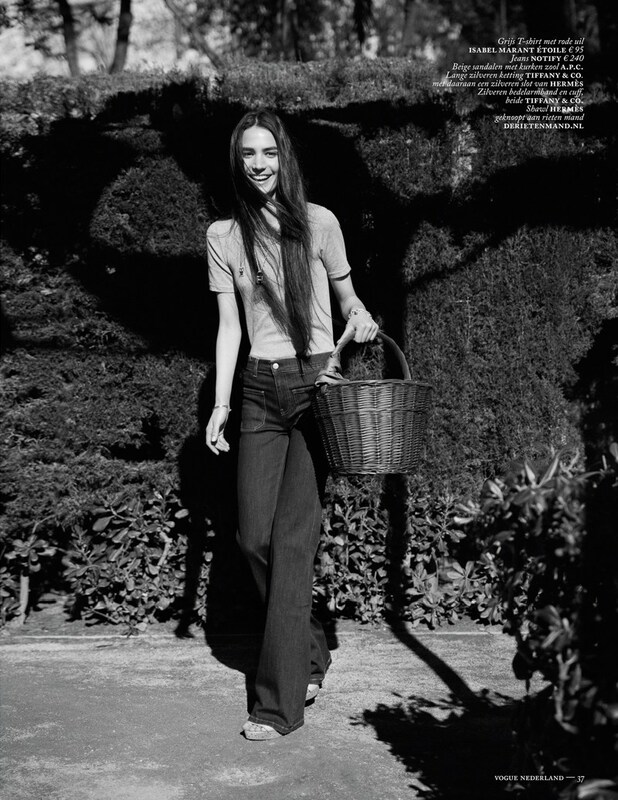 Mihaljcic channels the free-spirit of seventies icon Jane Birkin in the hippest denim looks and shimmering silver accessories styled by Jos Van Heel. 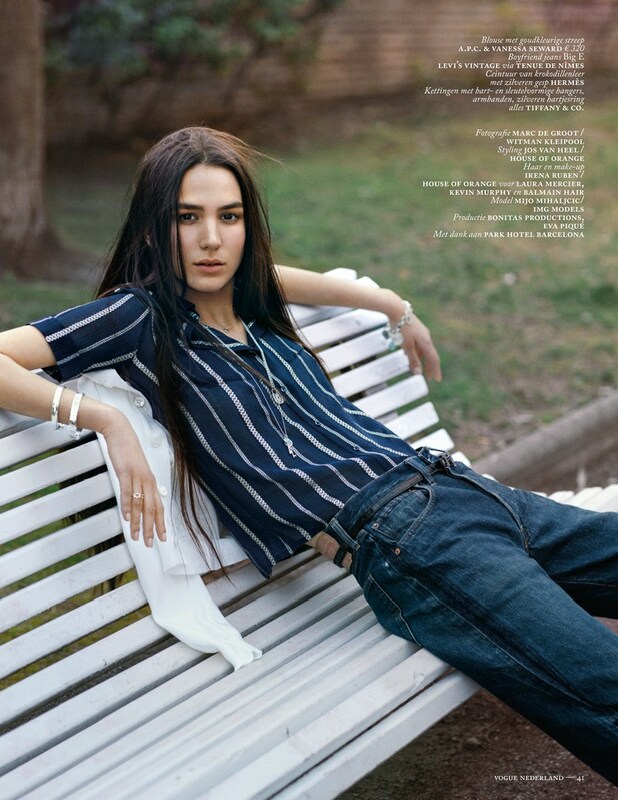 Photographer Marc de Groot captures the brooding androgyny of Mihaljcic in an assortment of 'must have' denim jumpsuits, hipster jeans and peasant blouses. The twenty year old Serbian beauty bewitched all in her midst with her stunning willowy frame and dark waist length hair as she strode down the runway for the Rag & Bone, Altuzarra, Proenza Schouler, Reed Krakoff, Preen, Burberry, Missoni, and Dries Van Noten amongst others at the recent Fall/Winter 2013 collections. Amongst a sea of pretty banal faces, Mihaljcic's 'one of a kind' intoxicating looks brought a heady mix of danger and dramatic beauty that has proven impossible to resist.